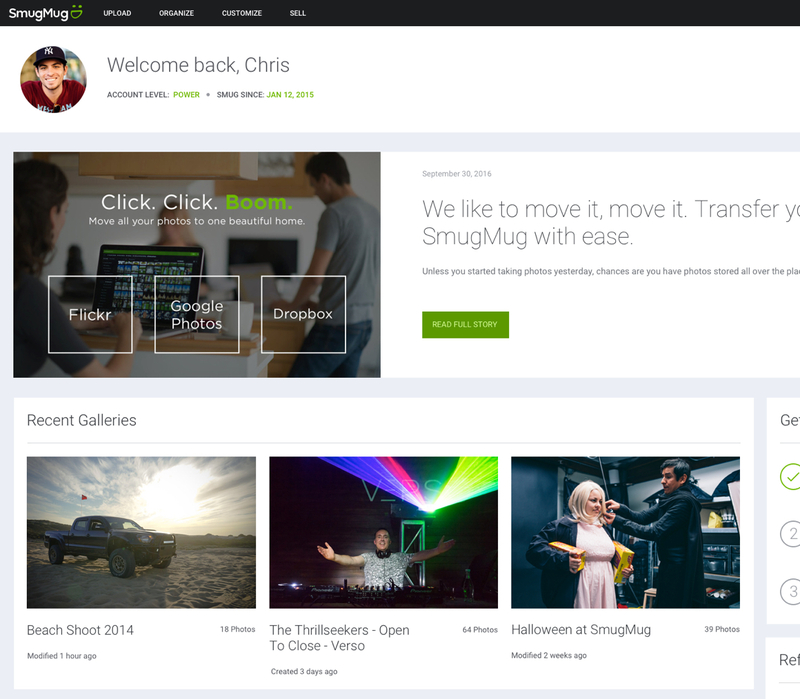 Although this project was put on hold in favor of some much more important projects, this was an exciting concept and something entirely new for SmugMug. Currently, when a user logs in, they land on their homepage. 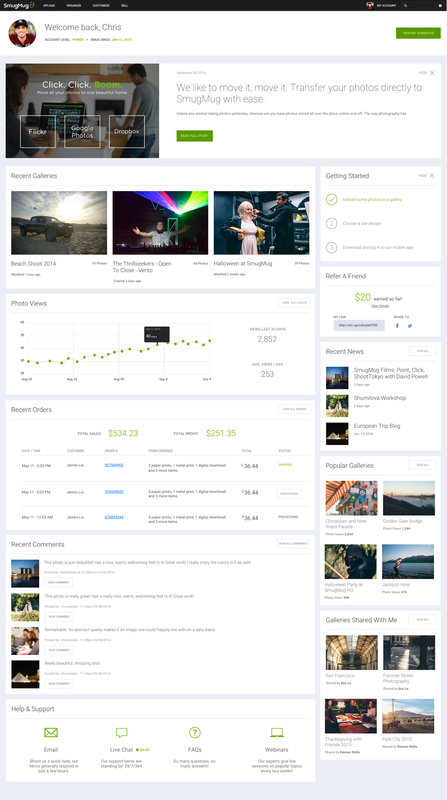 We have lots of data about a users account such as; stats, account info, popular images, etc, so I thought we could surface theme in one central place like an account hub, or dashboard. Here is some of my conceptual work. Though half finished because I was put on another project.